If you have gum disease but are put off by invasive gum grafting surgery, laser gum treatment may be the solution for you. 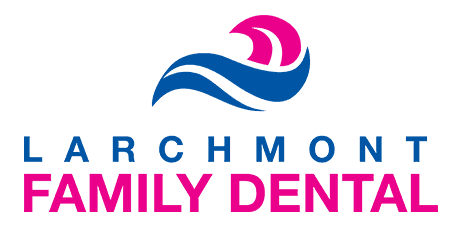 At Larchmont Family Dental, trusted dentist Avi Malkis offers laser gum treatment that’s safe and effective for patients in the Westchester County of New York, including Larchmont, Mamaroneck, Harrison, and New Rochelle, New York. To learn more, call the office or schedule an appointment online. How does laser gum treatment work? Laser gum treatment — also called laser periodontal therapy — is a nonsurgical treatment for gum disease. It involves using light energy of a wavelength that's strong enough to kill the bacteria and remove diseased tissue without harming the surrounding healthy tissue. In addition to removing the diseased areas, recent studies have shown that laser gum therapy can also result in regeneration and reattachment of gum tissue. How does laser gum treatment compare to traditional gum surgery? Traditional gum surgery involves either moving the gums and placing them back in place, or taking tissue from another source and filling in the gum pockets. These procedures can be painful and have long recovery times. Is laser gum therapy worth it? All gum treatments are worthwhile because periodontal disease can eventually lead to tooth and bone loss. Some studies indicate that severe gum disease may also be linked to several other conditions, such as diabetes or stroke. The cost of laser gum therapy depends on the stage of your disease and how much of your gums are affected. However, it can often be less expensive than traditional surgery because it requires fewer visits to the dentist and less medication. Laser gum treatment is a good choice for many people with periodontal disease, and especially for those with medical problems that might make traditional surgical treatments more difficult. Dr. Malkis can evaluate your gums and your overall health to determine if laser therapy is right for you. Many people with gum disease ignore the symptoms because they’re fearful of scaling or gum graft surgery. Laser gum treatment offers a less invasive alternative that’s both safe and effective. To learn more, call Larchmont Family Dental or schedule an appointment online.